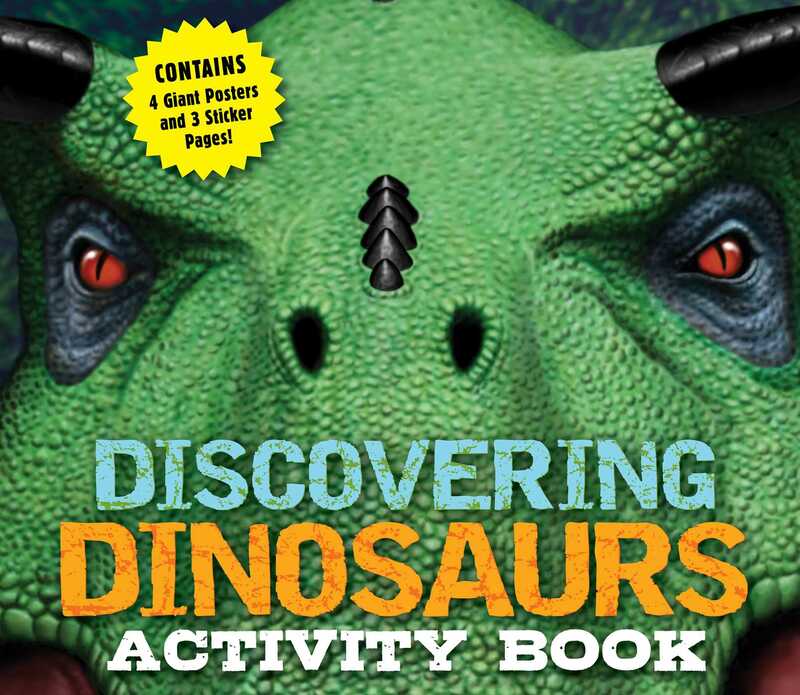 Featuring mega mazes, stunning stickers, and fun foldouts, the Discovering Dinosaurs Activity Book is a sure hit with junior paleontologists everywhere. Featuring mega mazes, stunning stickers, and fun foldouts, the Discovering Dinosaurs Activity Book will entertain junior paleontologists everywhere. Thanks to scientifically sound information and stunning illustrations, this activity book is as educational as it is fun. Whether it is the glorious illustrations on the coloring foldouts or the stunning, tactile cover, the Discovering Dinosaurs Activity Book is sure to draw in kids of all ages.